ALPHARETTA, Ga.--(BUSINESS WIRE)--Chemence, Inc., a manufacturer of specialized adhesives, sealants and resins, announced its purchase of the electronics adhesive business and technology of Georgia-based manufacturer Supreme Recourses, Inc. Since 1988, Supreme Resources has developed chemical solutions for a wide range of industries, including electronics and automotive manufacturing. The acquisition of Supreme Resource’s electronics adhesives portfolio by Chemence features adhesive technology in consumer electronics, including mobile devices and computers, and industrial electronics, such as transformers, transistors, circuit boards and automobile touchscreens. 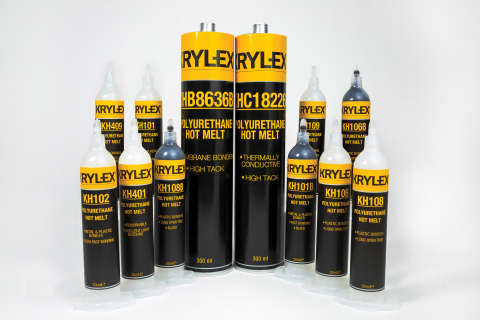 Over the next twelve months, Chemence intends to integrate this newly acquired electronics adhesive portfolio into its own Krylex® product line in order to provide a seamless transition experience for existing customers. This acquisition follows Chemence’s rebranding and launch of Krylex®, a product line focusing on the industrial adhesives marketspace, and the recent opening of its Shanghai office, further growing Chemence’s presence in the Asian electronics assembly market. Chemence, Inc., headquartered in metropolitan Atlanta, GA, is a specialty chemical company that manufactures a range of consumer and industrial adhesives as well as liquid photopolymers, impregnation sealants and other resins. Since 1989, Chemence has promoted innovative research with proven product initiatives to support Graphics, Medical, Automotive, Health & Beauty, and numerous other industries. Chemical manufacturer Chemence acquires the electronics adhesive business and technology from Supreme Resources as part of its industry expansion.